Our second annual HSS photo contest will run from March 5, 2019 until May 10, 2019. The theme for this year’s contest is “Cute Shorthorn Calves”. We invite everyone (you don’t have to be a Heritage Shorthorn Society member) to submit photographs which picture at least one Shorthorn calf (they don’t have to be heritage). These photos will be displayed on our Photo Contest Page, and will be voted on by HSS members this summer. Each photo will be credited as to who submitted it. 1. Anyone can submit up to 4 photos. Each photo must have at least one Shorthorn calf in the picture, but can also include other animals or people. Captions are encouraged for each photo, but the caption should not specifically mention a ranch/farm name. 2. 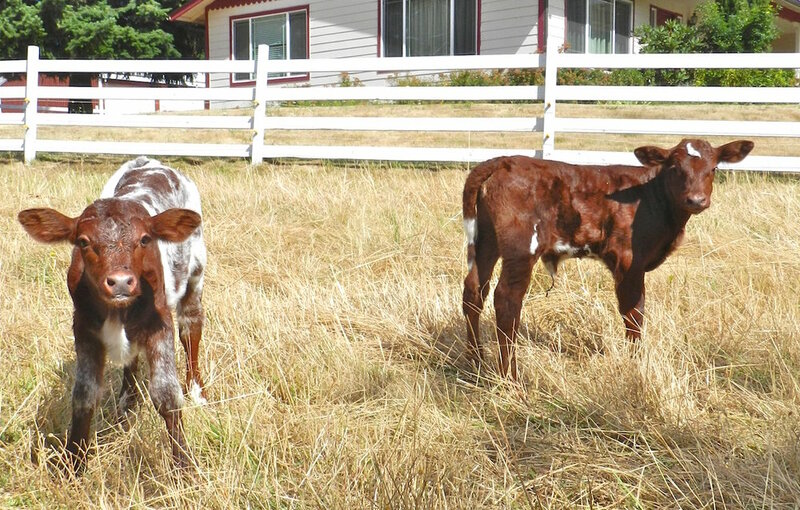 The Shorthorn calf pictures can be in any setting—modern or historical. 3. All photos should originate with the person sending the photo—(no copyrighted photos or photos copied off the internet from unknown sources). Any photo submitted may be used by the Heritage Shorthorn Society in promotional materials. 5. Dates for submitting pictures for the Contest are from March 5, 2019 until May 10, 2019. The winners will be announced in the June 1st Monthly Highlight. 6. There will be a first prize and a second prize (highest numbers of HSS member votes).